Perennial. Zone 2. Violaceae. Eastern North America, or possibly Europe. There presently exists some confusion among botanists as to whether the plant widely distributed in the plant trade as Viola labradorica (from eastern North America, including Labrador, and also in Greenland) is actually a very similar European species, Viola riviniana. 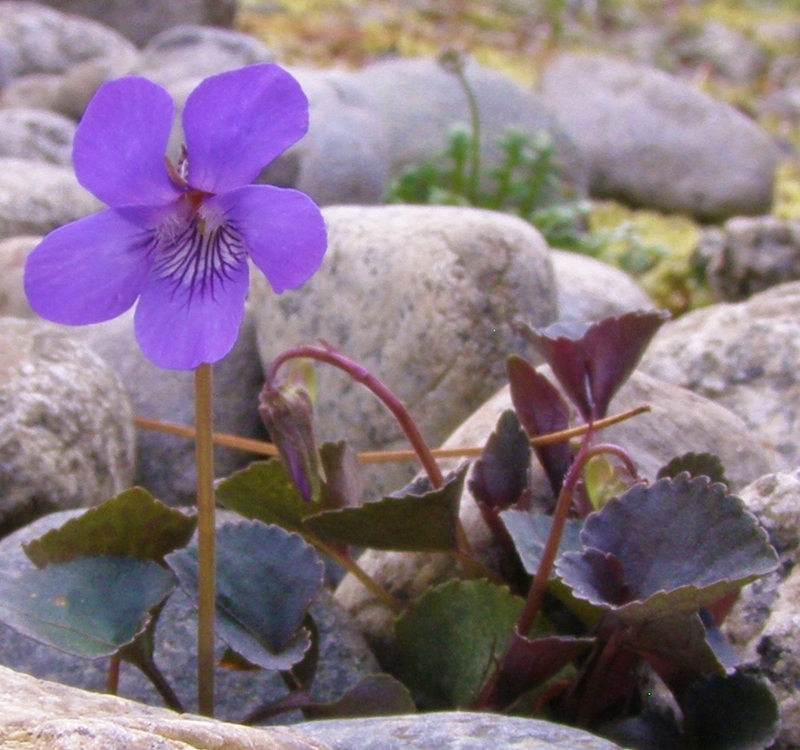 Until the final verdict is in, there seems to be a broad agreement to keep calling this pretty little violet by the best-known common name, Labrador Violet. Whatever the classification, it is most garden-worthy. 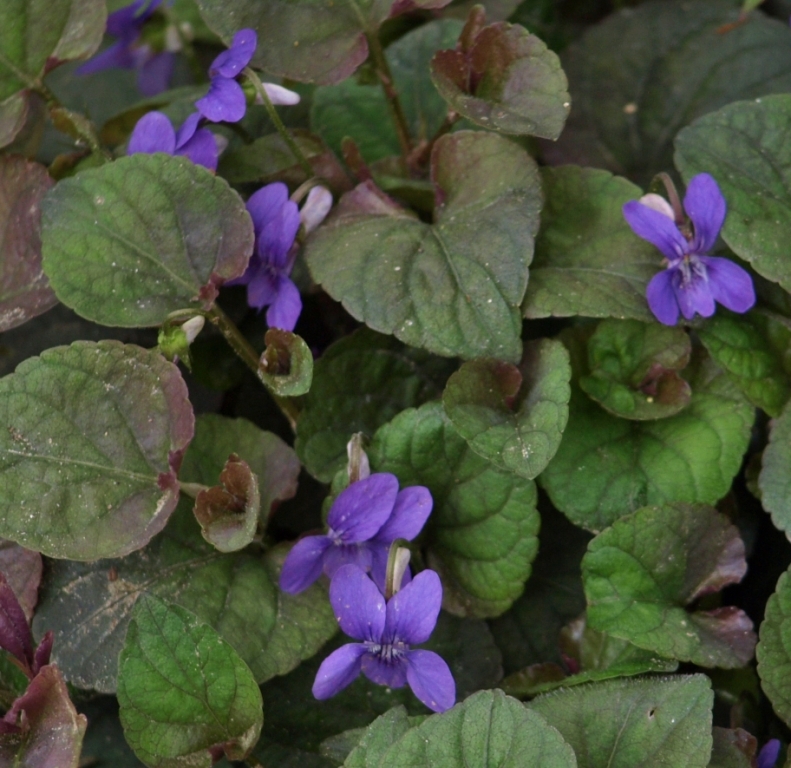 The most instantly noticeable thing about this violet is its silken-textured red-purple flushed foliage. This is particularly noticeable in early spring, but the foliage remains dark-blushed all summer, with deeper shades developing in autumn. Plants reach 6 inches or so tall, and spread in a gently determined sort of way to form substantial colonies. It self-seeds about quite abundantly, but the young plants are easy to transplant or pull out if they overstep their allotted bounds. 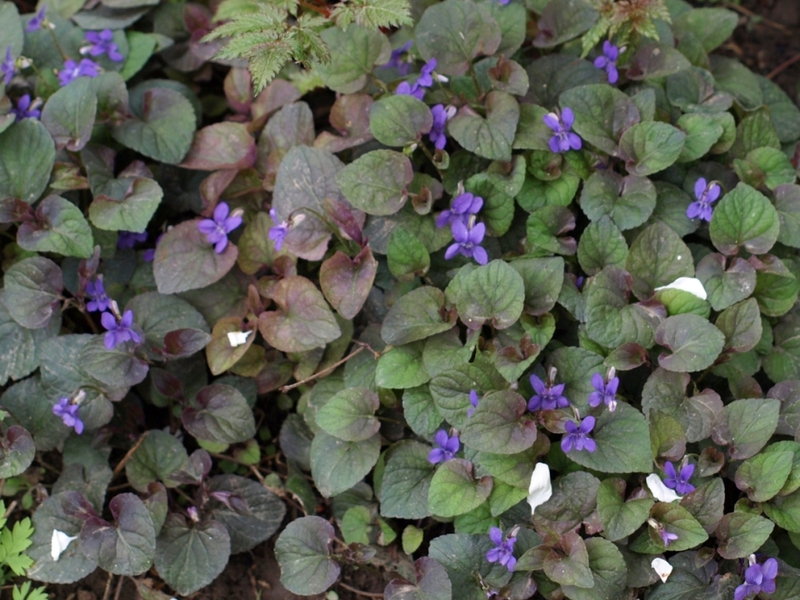 Classic small purple violet flowers are produced in great abundance in spring and early summer. Sadly, these are not noticeably fragrant, but they are beautifully decorative. A hardy and attractive groundcover for under ferns, taller perennials, and shrubs, or in the nooks and crannies of rockwork. 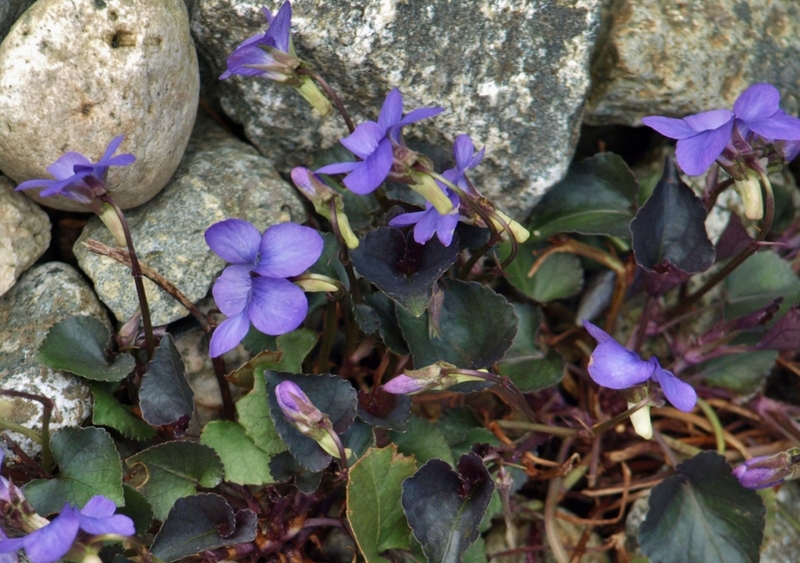 Labrador Violet is content in sun to deep shade, in average soil with some summer moisture.